Modulating a wave means changing one or more of its fundamental characteristics to encode information. we can see that this has 3 parameters that can be altered . A – called the magnitude, or amplitude of the sinusoid. phi – known as the phase angle. The amplitude of the carrier signal is modulated (changed) in proportion to the message signal while the frequency and phase are kept constant. 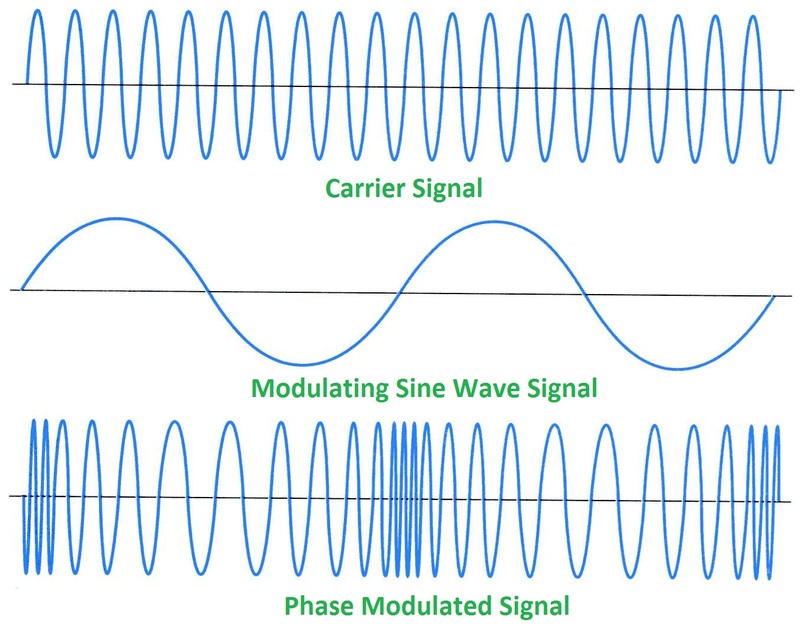 The frequency of the carrier signal is modulated (changed) in proportion to the message signal while the amplitude and phase are kept constant. 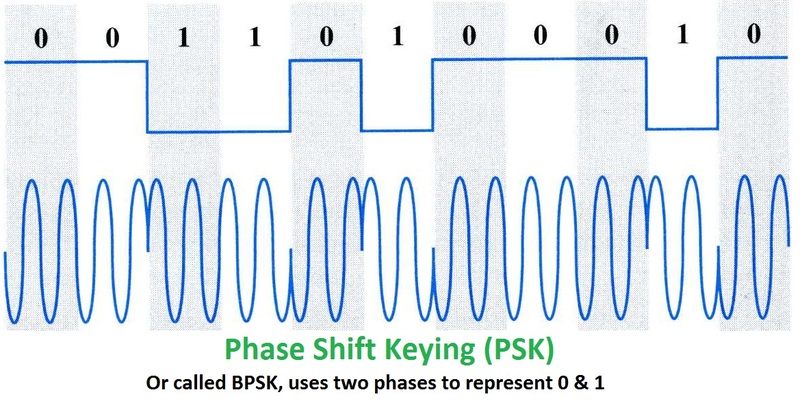 This encodes information as variations in the instantaneous phase of a carrier wave.It changes the phase angle of wave in direct proportion to the message signal. The above discussed techniques are only applicable for analog modulation . 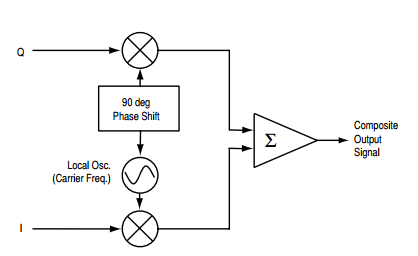 For digital modulation got the next blog : Wave Modulation – digital. 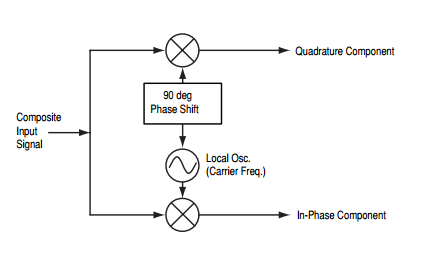 The transmitting channel ( air / wire o/ fibre ) is like a bandpass filter ie both the lowest frequency components and the highest frequency components are cut off beyond a range with transmission only being practical over some intermediate frequency range . In such a case our orignal wave is unusuable unless we shift our frequency up wthout changing the information contained . Thus modulation is the only solution for transmission. A baseband (low frequency) signal has a long wavelength thus an anteena of the size of about 1/10 of wavelength is required to listen to it .This results in really large antenna sizes. However since modulation shifts the baseband signal up to a much higher frequency, which has much smaller wavelengths it allows the use of a much smaller antenna.